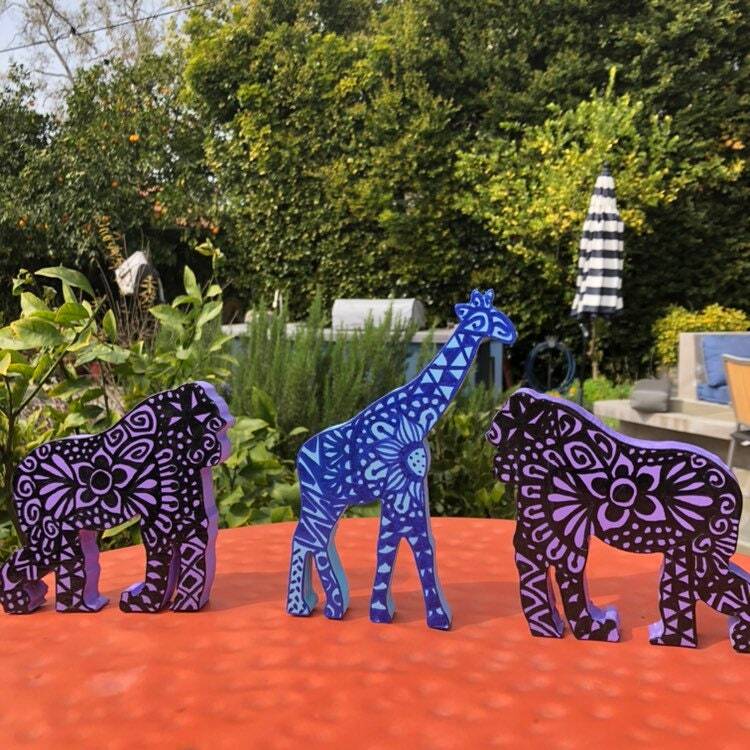 These wooden animals are handpainted in acrylic paint and covered in a satin varnish. The gorillas stand 5 inches tall and are 5.5 inches wide each. The giraffe stands 7 inches tall and is 5 inches wide. All are 3/4 of an inch thick. Made in a smoke-free, pet friendly home. Exactly as pictured and described and came quick enough! Really nice. It was like the photo. Very very fast delivery. It was packed so sweet. I recommend it. The material and the product very very professional. I will explore her shop again. Thank you it was exactly I was looking for. Perfect gift for my niece! Great deal with free shipping. Can't beat it. Recommended seller! Really love this hat.... would be happy to buy more with such awesome colors!